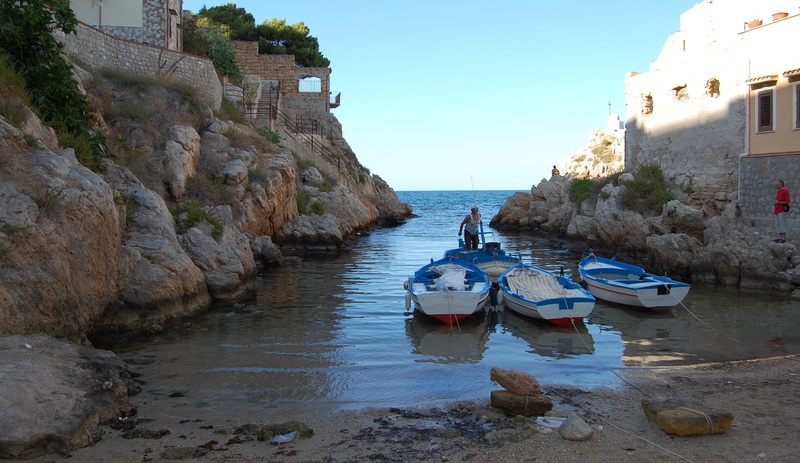 This is a fisherman in Saint Elia, northern Sicily. Along the Sicilian coastline, thousands of families are entirely dependent on the sea for their livelihood. They catch fish from it, they dry it out and sell the salt from it, they host tourists who enjoy swimming in it, and they sometimes save the lives of refugees from Africa whom they pull out of it in terrible storms. 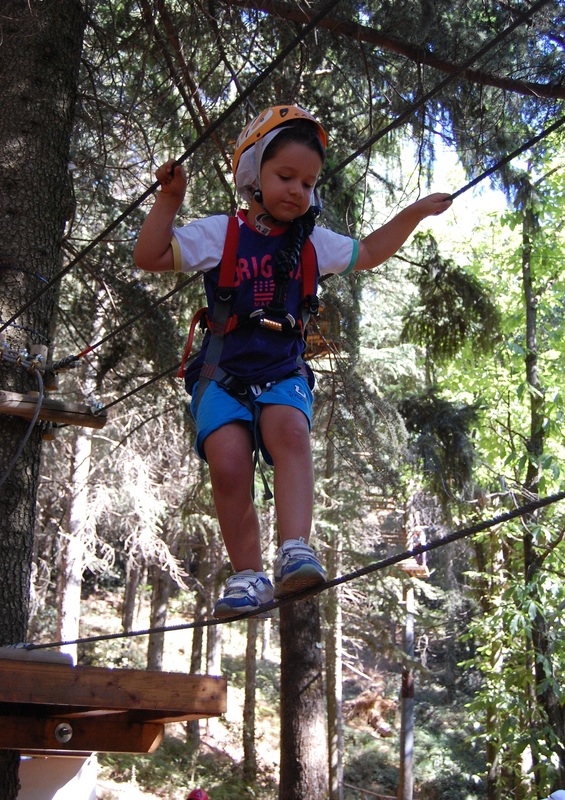 This photo was taken at an adventure park in Santa Flavia, Sicily. It sprawls alongside a busy crossroads and from every direction you can see small children flying high into the air above all the blocks of flats and exhaust fumes. 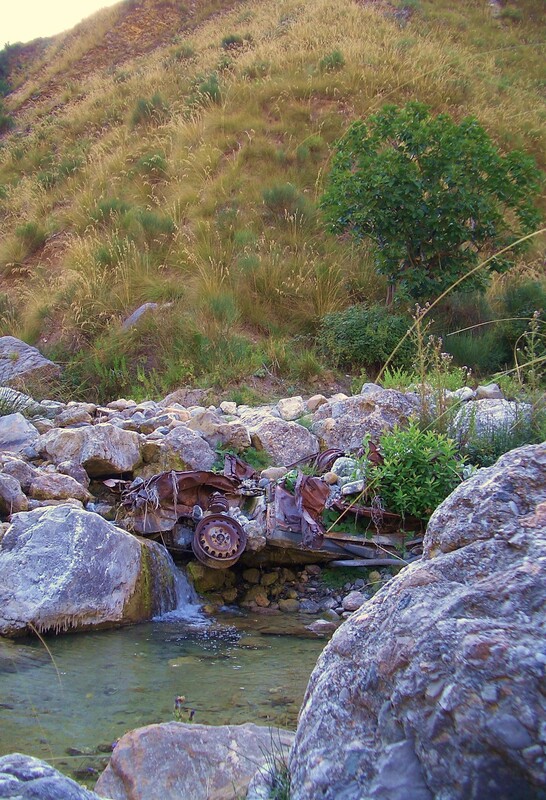 This car plunged to the bottom of one of Sicily’s beauty spots in a spectacular accident, in the Parco dei Nebrodi nature reserve. It sits at the bottom of a ravine so deep and inaccesible that there is no way to remove it, so the locals watch and wait patiently for Mother Earth to break it down to its basic elements and reclaim it. What better way to feel the fire of the earth than by running around the crater of Europe’s largest active volcano? 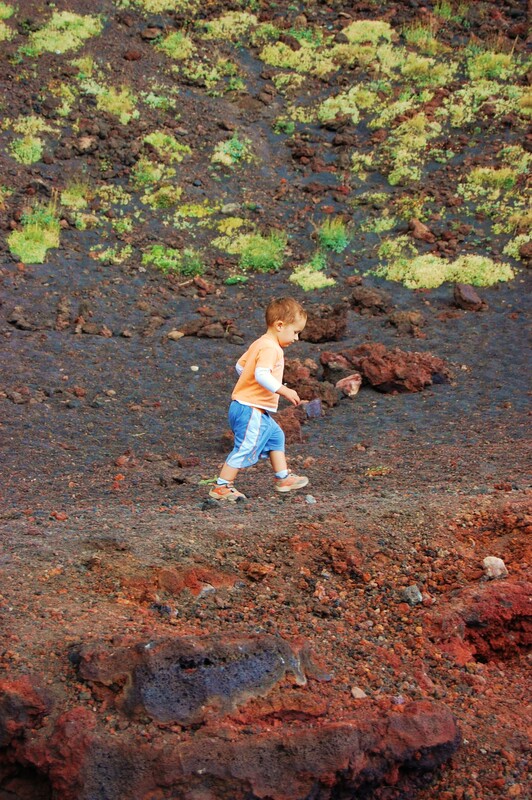 My little boy was determined to dash around the entire rim of Mount Etna, squealing with delight each time he crouched down and felt how hot the rocks of lava were beneath his feet. My 5 nominations are below (sorry for the extremely short notice). The deadline is 23.59 on 16th March 2015 and you can read theT&Cs here. These are all stunning photography blogs by the way – do go and have a look. Here are my runner-up photographs that I almost entered as my four elements. 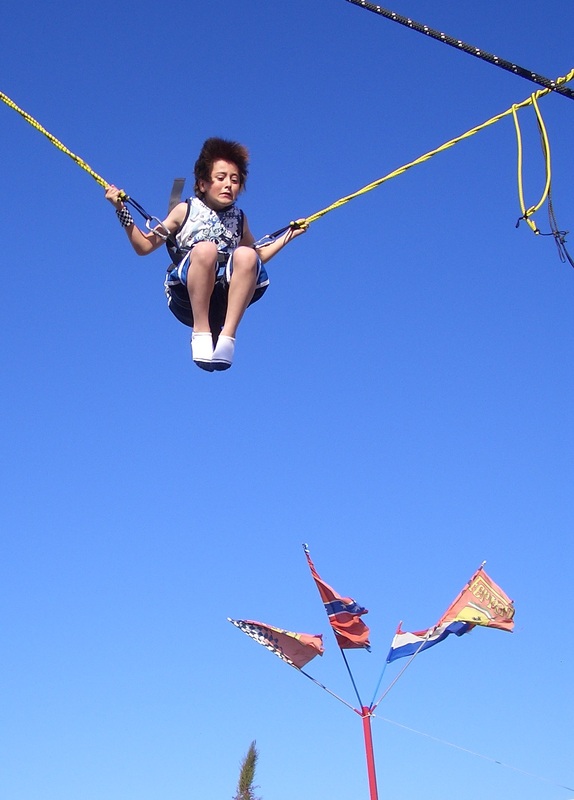 This was almost the AIR photo, of my son in the Madonie Adventure Park. 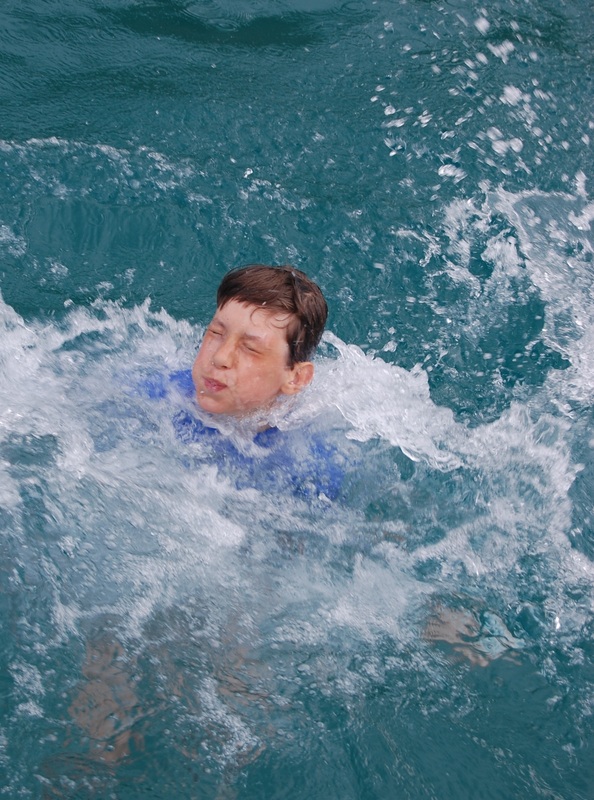 And this was my second choice for WATER, of my nephew swimming in the sea. 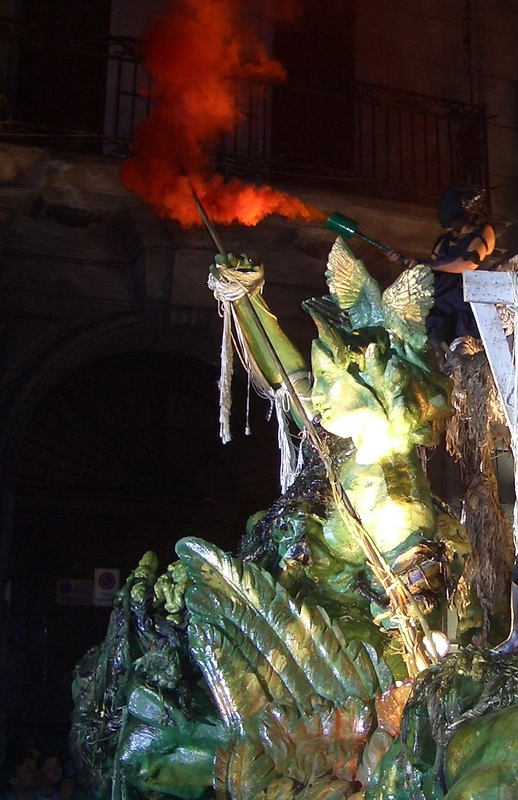 My runner up for FIRE was this fire-breathing sea goddess in the Festival of Saint Rosalia, held in Palermo every August. 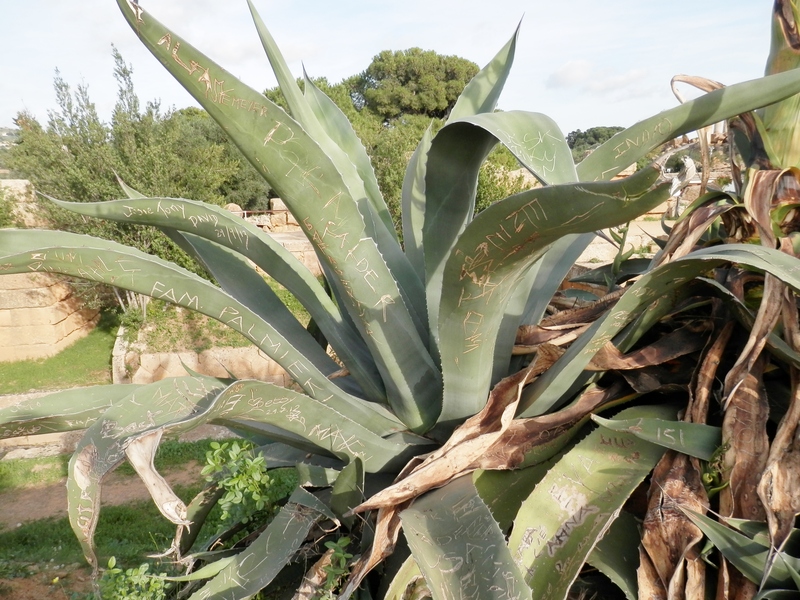 Finally, my runner up for the EARTH category was this heavily autographed aloe in Agrigento, Sicily. I am told these plants have a root network that penetrates ten times deeper into the earth than the plant you see growing above ground. Good luck in the competition. I will have a look through my photos tomorrow and see if I’ve got anything “elementary”. Great collection. Particularly love your fire shot. Good luck! Those are great photo ideas to match the themes. Well done. Nice collection of photos also. I like the air shot a lot, but they are all great. Good luck for the competition.